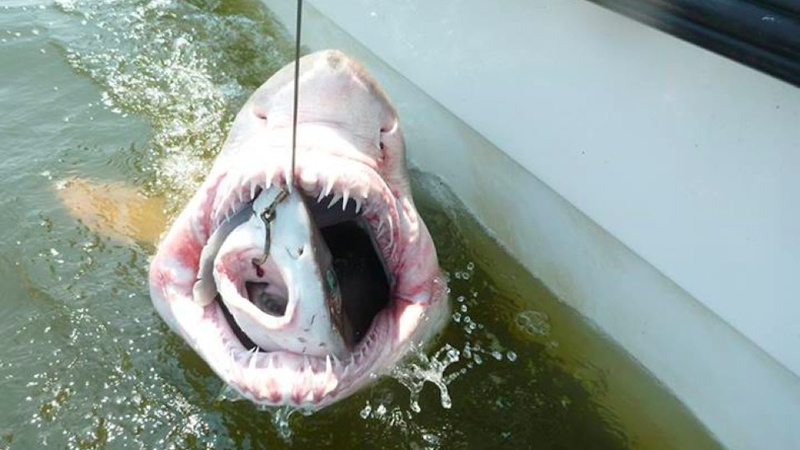 The head of a rotting fish would be too much for even the most devoted readers; so instead here’s a shark eating a shark. The Polish poet Czesław Miłosz (1911-2004) is widely read in American poetry circles. It wouldn’t be much of a stretch to say that many Americans almost think of him as one of their own (Cynthia Haven even documents his worldwide influence here). 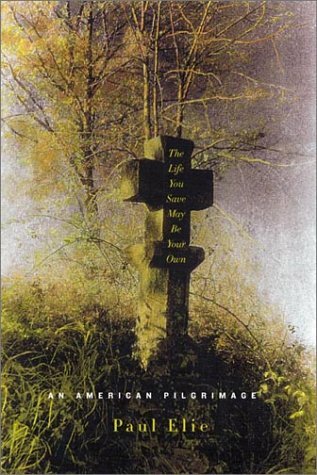 Now Milosz’s poetry appeals to me because he interprets his experience of late modern America and early 20th century totalitarianism with a finely honed Catholic theological imagination. Don’t take my word for it. There’s plenty of evidence for my judgment here, here, here, here, and here. 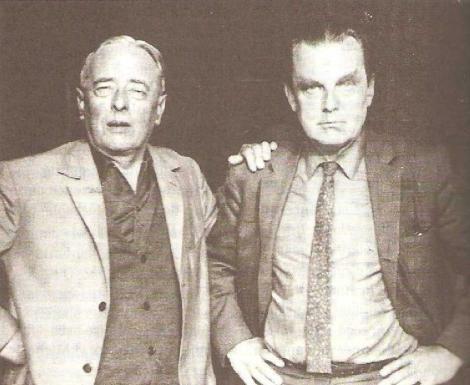 Czeslaw Milosz (right) with friend and literary rival Gombrowicz (mentioned later in post). Now consider this statement in the context of what Nietzsche, Flaubert, Ibsen, Andre Gide, Sartre, and Gombrowicz wrote. Then you’ll get the picture. Really? From where I stand, things don’t look that way. 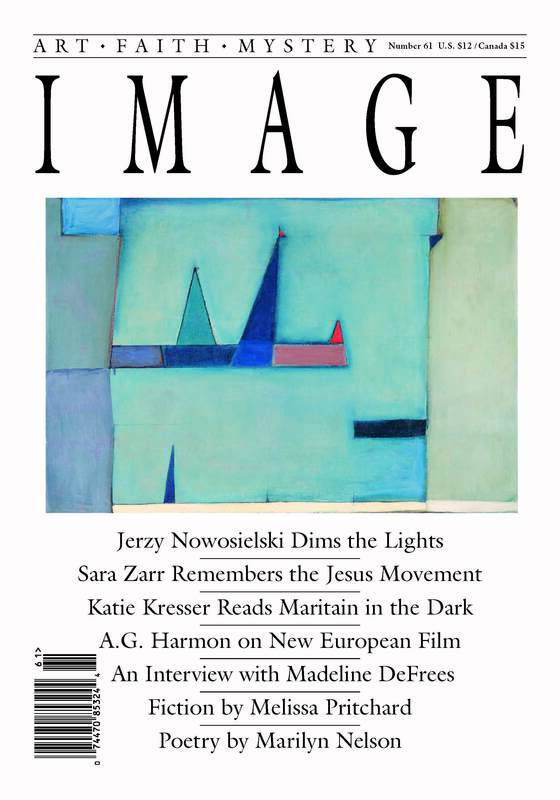 That is in large part because for the past 24 years I have edited Image, a journal that publishes literature and art concerned with the faith traditions of the West. Our instinct when launching the publication was that the narrative of decline was misguided, but we honestly didn’t know if we could fill more than a few issues. You can read my own contribution to IMAGE here. You can subscribe to IMAGE here. Perhaps the fish isn’t all that rotten? At least not in the head? Over the next few days I plan on compiling some Top 10 lists of contemporary poets (Now available!) and novelists who write from within a theological imagination. I don’t think the task will be as tough as Elie makes it out to be. The toughest task will be keeping the lists down to only ten authors each! 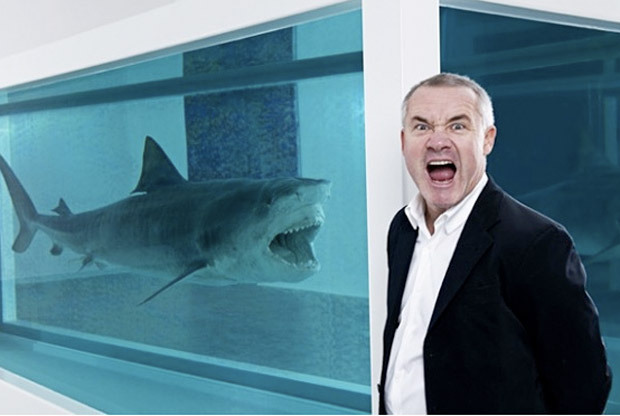 Rotting heads: did you know one of these Damien Hirst sharks (pictured left) rotted in a gallery and had to be replaced?